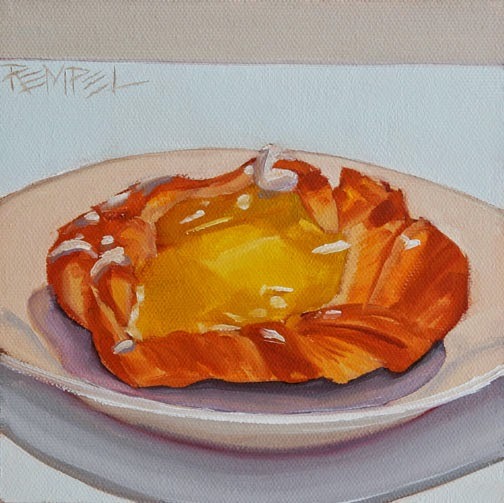 Today's painting: a lemon danish. Usually my props do not appeal to me in the slightest after I've finished painting them but this was an exception. A mouthful of zingy, lemony goodness. Mmm. My sketch for Inktober. This time I added a splash of colour. Une pâtisserie qui doit être succulente ! Elle l'est pour les yeux ! This looks good enough to eat! Oozes stickiness and gloss! Yum yum! 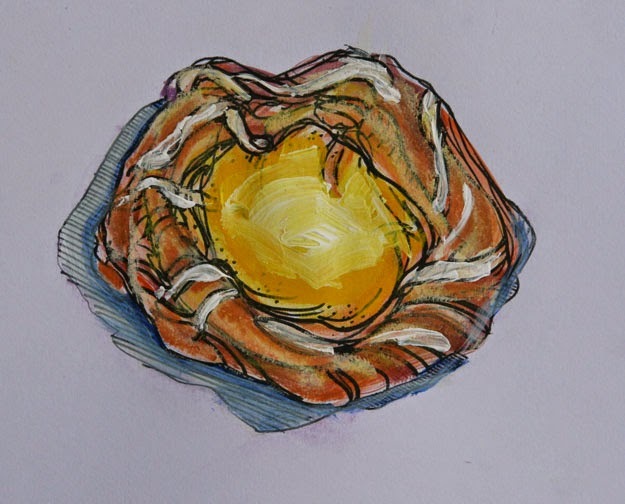 Love your danish painting and sketch. You are reminding me of the coffee shop at university and of a lovely German bakery in Annapolis Royal -- where I cannot resist such fare.